7 p.m….History Center of Traverse City, 322 Sixth St. 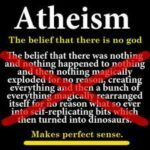 So you know about the Humanists, but are there other like-minded groups around? Yes! Join us for a presentation from Kendal Taylor, founder of the new Freedom From Religion Foundation group in Petoskey. Kendal will discuss the formation of their group, its goals and aspirations, and how we might work together towards the common good. There will also be a short presentation on other related groups. Educate yourself and discover new secular resources! 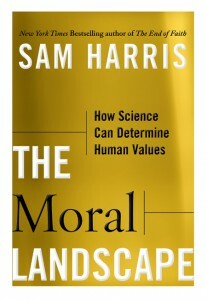 Due to the preponderance of media night participants (including our host) who are going to the National Writers Series event with David Sedaris at the City Opera House on the 24th, and in the interest of allowing more time for more people to read this VERY IMPORTANT BOOK, we are moving our discussion of Sam Harris’ The Moral Landscape to Monday, November 28. We look forward to a great discussion then! 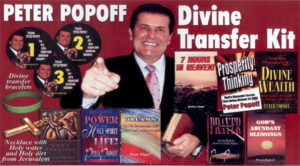 You might remember faith healer Peter Popoff as the guy that James Randi exposed on The Tonight Show with Johnny Carson back in 1986…although he claimed to be receiving “revelations from God,” he was actually being fed information about revival attendees by his wife through an in-ear radio transmitter. He declared bankruptcy the next year. How is it, then, that today his ministry rakes in millions of dollars urging people through television infomercials to request “miracle spring water?”. Join us at The History Center of Traverse City, 322 Sixth St., at 7 p.m. for a short video and lecture presentation by followed by discussion. Presenter Jim Skinner has an M.A. from Aberdeen University, Scotland, and taught history at Brandon University in Manitoba for 28 years before retiring to Victoria, where he has been a sessional lecturer at the University of Victoria in the departments of English, History, and History in Art. He is also the president of the Victoria Secular Humanists Association. 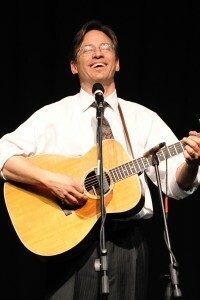 Sept 30, 2011 Roy Zimmerman in Concert! Roundtable Discussion: What’s in a Name? Sept 12 2011 Roundtable Discussion: What’s in a Name? Humanist, atheist, agnostic, freethinker, secular scientist…how do you identify yourself?Â How does using these terms affect your discourse with others?Â Join us at the History Center for a roundtable discussion Monday, September 12.